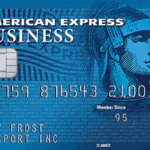 What Credit Cards Do You Use? Here’s Our Lineup. Introduced in the 1980s, the AT&T Universal Card was the first credit card to offer rewards to its users. The idea stuck, and there is now a dizzying array of credit cards offering valuable rewards to their users, typically in the form of cash back, statement credit, or travel rewards. I'm no credit card rewards guru, but I also don't like passing up free money. 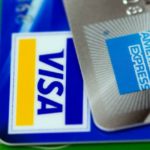 So … [Read more...] about What Credit Cards Do You Use? Here’s Our Lineup. We did hours of research on the best credit cards for Facebook ads, and the choice soon became clear. There is only one credit card that can give you 3% cash back on Facebook ads with no annual fee! Also, if you apply through our bonus link, you can get up to $500 of statement credits with qualifying spend! So What Is the Best Credit Card for Facebook Ads? We concluded … [Read more...] about Best Credit Card for Facebook Ads: 3% Cash Back and No Annual Fee!